Gina Pane, Psyche. Still from the video (1974). Courtesy of LIMA Amsterdam. Gina Pane (1939-1990) was a French artist of Italian origins working in installation and performance. Gina Pane is best known as one of the few female body artists of the 1970s to use her body in her work in extreme ways, including self-inflicted injuries. Producing further works using sculpture and photography, the body remained Pane's focus as she began making minutely prepared and documented actions in which each gesture was permeated with a ritual dimension. Her use of the body as artistic tool reveals vulnerability both in an actual and literal sense. The VENICE INTERNATIONAL PERFORMANCE ART WEEK 2014 shows the historical video tape Psyche. 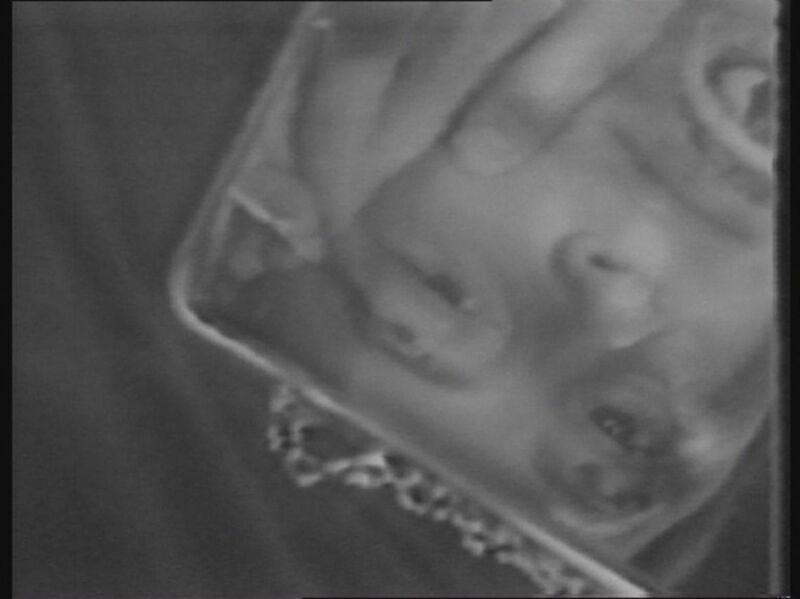 In the tape Psyche (in some texts it is referred to as Psyché), Pane is inspecting herself in a large mirror (a psyché? ), and is using make-up to draw an image of her face on that mirror. With a razor blade, she cuts herself just below her eyebrows. Then she goes and stands against a grid, holding a bunch of downy feathers in her hands. With the razor blade, she cuts a cross in the skin around her navel. Between these acts of self-mutilation, she plays with tenni balls, licks her breasts and caresses her body with the feathers. However, these moments never last long. Ritual torture always plays the lead in this ceremony of cleansing. In Psyche, the artist proves herself to be as vulnerable as the mythological King’s daughter with her butterfly wings.